The Renaissance was a golden age in the long history of Venetian painting, and the art that came from Venice during that era includes some of the most visually exciting works in the whole of Western art. 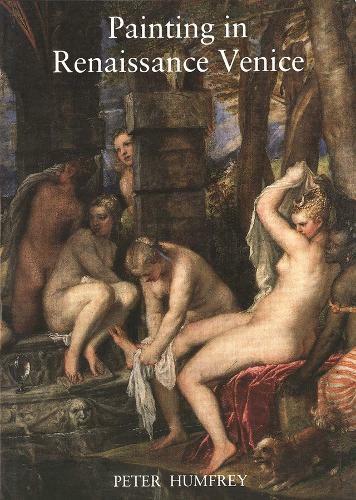 This attractive book-a comprehensive account of painting in Venice from Bellini to Titian to Tintoretto-is an accessible introduction to the art of this period. Peter Humfrey surveys the development of a distinctly Venetian artistic tradition from the middle years of the fifteenth century to the end of the sixteenth century. He discusses the work of Jacopo and Giovanni Bellini, Giorgione, Titian, Veronese, and Tintoretto as well as the paintings of those less well known-such as the three Vivarini, Cima, Carpaccio, Palma Vecchio, Lotto, and Jacopo Bassano. Humfrey analyzes these painters' works in terms of their pictorial style, technique, subject matter, patronage, and function. He also sets the art against the background of the political, social, and religious conditions of Renaissance Venice, as outlined in his Introduction. The book includes an appendix that provides brief biographies of thirty-six of the most important painters active in Renaissance Venice.